This watch looks better then the pic, its heavy and strong. Definitely a smart purchase and durable! the price was just right! love the watch. Revue Thommen was founded in 1853 by Gedeon Thommen and has since developed into one of the leading Swiss watch companies with products in the aviation industry. 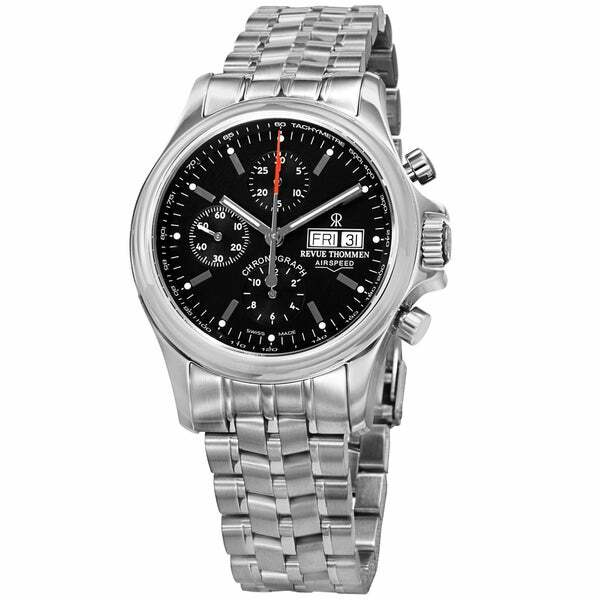 This timepiece features a black dial, with chronograph functions.